A few days ago, the Internet blew our minds once again with a simple IPhone hack that *no one* knew. I’ve gathered some of my favorite laptop/tech shortcuts that will make your life a lot easier. Some of them are super simple, others are a bit more advanced but they will all save you time and stress! By tapping Command+F at the same time on a Mac (that is, the Command button and F button at the same time) or Control+F on a PC, you can search for a word on a webpage or document. This command shows you every instance of the word or phrase you search, so you can easily navigate between references, or search and replace. A life saver! There are a couple of document and editing shortcuts everyone should know. Of course, to copy and paste text, you can use Command+C and Command+V (Mac) or Control+C and Control+V (PC). To select all of a text (or image), use Command/Control+A; to undo an action, Command/Control+Z. And, to save a document, it’s Command/Control+S. Pretty simple. Most word processors and text editors (including Microsoft Word, Google Docs, and email clients) share a lot of the same standard shortcuts for styling text: To make text bold, tap Command/Control+B; to italicize something, Command/Control+I; and to underline a word, Command/Control+U. We are all familiar with Command/Control+Z. If you find yourself writing a lot for work, it is an invaluable shortcut. But what about those moments when you’re a little too hasty with undoing something and want to revert back? Introducing Control+Y. Not to be confused with Command+Y which we will get to later. In the office, this usually comes the most in handy when you’re having an IT issue and need to include an image of the error, but you never know when it will be useful. To capture the entire screen, select Command+Shift+3 if you’re using a Mac or Command+Shift+4 if you want a select part of the screen. If you’re using a Windows, click Windows Key+Shift+S and it will let you choose whether you want to do a full or partial screen grab. Or ya know, just use the Snipping Tool for specifics. Quickly quit an app with the stroke of a couple keys by using Command/Control+Q, after hitting Command/Control+S of course! Also –command+shift+t to reopen a tab you accidentally closed in chrome or command+click to open a link in a new tab without losing your place on your current tab. All my Chrome stans make some noise!!! To create a new tab, hit Command/Control+T. Similarly, for a new window, hit Command/Control+N. To switch between tabs (on both Macs and PCs) tap Control+Tab or Control+Page Down. The latter trick is great when you want to cycle through your open tabs, or when you want to alternate between two tabs (Control+Shift+Tab or Control+Page Up lets you navigate back to the previous open tab). No need to copy and paste a URL into an email. If you highlight the text you want to turn into a link, then hit Control/Command+K, a pop-up in Gmail appears and lets you paste in the URL. Now, instead of having an email littered with http://s and www.s, you’ve got clean text with a few blue, clickable links. Need to quickly access your web browser’s search history to find that cute pair of earrings you were looking at while doing some late night window shopping? Command+Y will instantly open up your search history in a new window. Clicking through your browser’s menus will be a thing of the past, just like your search history. Gmail has more time-saving hidden shortcuts than just hyperlinking. After typing a message, you can hit Command/Control+Enter to automatically send the message (just make sure it’s ready to send first!). You can also quickly add CC recipients with Command/Control+Shift+C, which moves your cursor to the CC field, or Command/Control+Shift+B to add Bcc recipients. Yes, there are even keyboard shortcuts for Twitter. It’s super-simple: Tap N for a new tweet, R to reply, F to favorite a tweet, and T to retweet something. If you’re using the Twitter Mac app, it’s pretty similar. 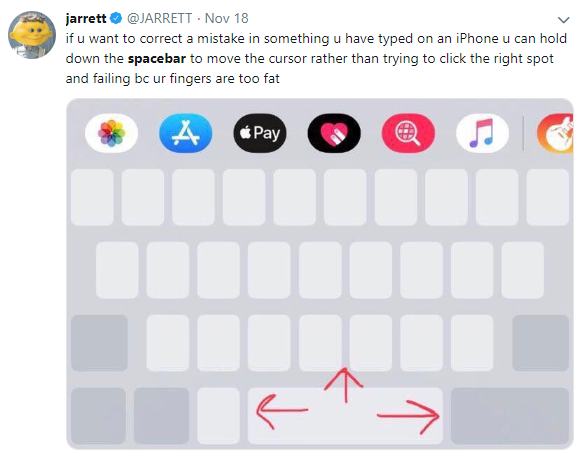 While you can type simply an F to fave something, for all the other shortcuts, hit Command at the same time (so, a new tweet is Command+N, and so on). On Facebook, you can navigate between stories on your Newsfeed by tapping J to scroll down through your feed and K to go back up. (This navigation actually works in Twitter, too.) You can also like a story (once it’s selected) by tapping L, and you can post a new status update by tapping P. You can even share a story with S, or comment on it by typing C. You do need to have a particular Newsfeed story selected in order for these post-specific shortcuts to work — after all, you can’t just comment on nothing. If you want to quickly see what applications you have running, and possibly force quit them from one convenient place, that’s where Command+Option+Escape comes in. A window will pop up showing you all the apps you have open and you can select and force quit as many as you need without leaving the window, saving you time. Recy Taylor. The woman, the legend.